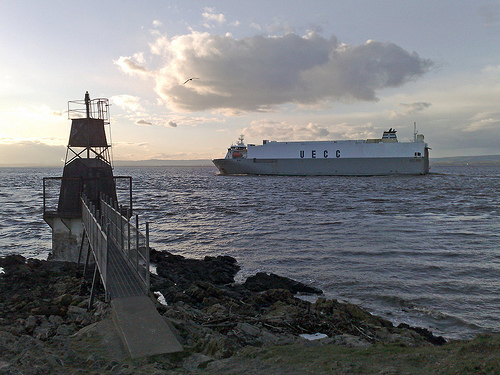 Located in the Severn estuary below the Severn bridges. Battery Point is a deepwater rock mark with easy parking along the seafront. This is big cod country, and the point is a magnet for those hunting that lunker. The water around the point is very deep, and a gentle lob puts you into a considerable depth of water. The point fishes best from LW upto HW on a neap tide, with springs almost unfishable due to the strong tide run. The rocks & sandy beach back towards Avonmouth are fishable on larger tides. Settled conditions are preferred as weed can be a problem in rough conditions. Autumn and winter gives cod and whiting. Each season sees a handful of 20lb cod caught off the point. The lunkers usually show during late December and through January. Late springtime the thornbacks arrive, followed by dover sole. The sole can run big here with specimens over 2lb not unusual. The bigger sole are usually caught in the autumn by anglers targeting cod. Conger, dogfish, bass and silver eels are also possible. Fish ragworm or lugworm baits for the cod and whiting, with big worm and squid cocktails taking the better cod. Squid or mackerel will catch conger and thornback rays. 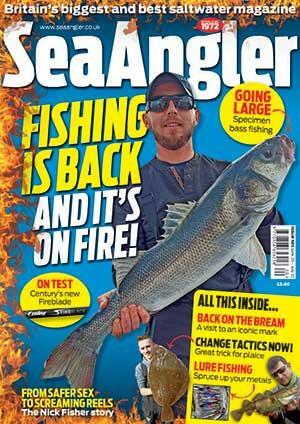 Fish for the sole with ragworm or lugworm. The bottom is made up of mixed ground which gets snaggier near the point. Sturdy beachcasters capable of lobbing 6oz leads with big baits are required. Mainlines of 18-20lb are sufficient, with a 60-80lb shock leader. A clipped down pulley pennel rig incorporating a rotton bottom will produce the best returns for cod. A similar rig with small hooks baited with a generous portion of worm for the sole. Opening times: 8am – 5pm Monday to Friday. 8am – 1pm Wednesday. 7am – 5pm Saturday. 7am – 12pm Sunday. Bait: lug and rag daily, peeler crab when available. Good supply of frozen baits. Opening times: 7am – 5.30pm Monday to Thursday. Closed Wednesday. 7am – 7pm Friday. 7am – 6pm Saturday. 7am – 12pm Sunday. Bait: Lug and rag daily. Peeler crabs when available. Good supply of frozen baits. Opening times: 9am – 5.30pm Monday to Saturday. 9am – 7.30pm Friday. Closed Sunday. Bait: Lug and rag daily, peeler crab when available. Good selection of frozen baits. Opening times: 9am – 5.30pm Monday to Thursday. Closed Wednesday. 9am – 6pm Friday. 9am – 5.30 Saturday. Closed Sunday. Bait: Lug and rag daily. Peeler crab all year round. Good supply of frozen baits. Directions : Exit M5 at junction 19 for Portishead. Follow the signs for the town centre. Then pick up the signs for the sea front. Parking is free along the seafront and by the swimming pool. Take the steps up past the pool to the point.